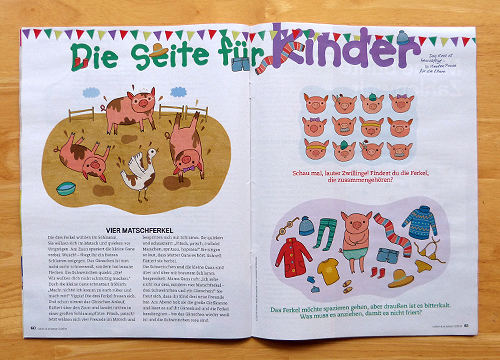 These piglet illustrations are in the current (February) issue of the German magazine Leben & Erziehen. 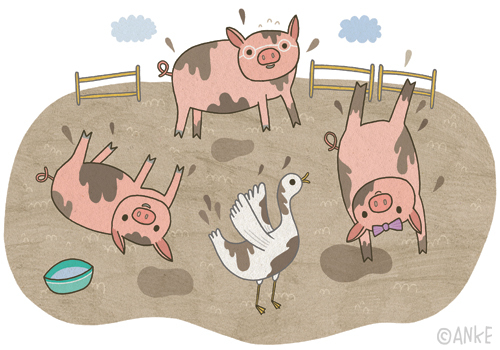 For the kids page, there's always one illustration for a story and two puzzle illustrations, which are always fun to come up with! 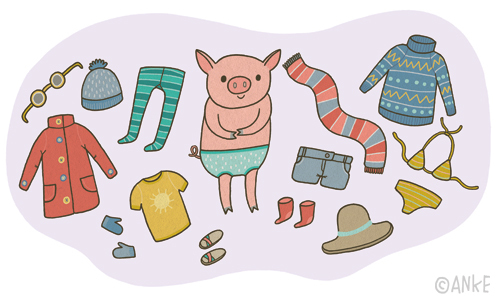 In one of them you have to pick the clothes the little piglet should wear on a winter's day to stay warm. 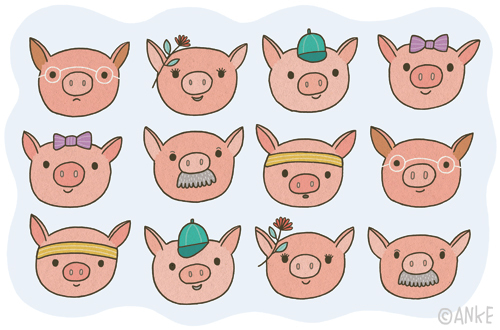 In the other one you have to find the piglet twins.